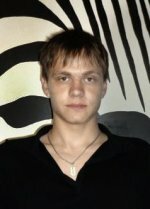 Sergey Pizikov is the founder of the Fund. He is highly qualified specialist with over 30 years of experience in social, sociological and marketing researches both for public and private sector, including methodology/tools development, field data collection, analysis and recommendations development. This experience also includes over 16 years of practical experience with international (USAID, UNDP, EU, OECD, WB) projects in economic, governance and customs reforms within Central Asia and Eastern Europe. Olga Sviridenko is a high level team leader managing our organization since 2006. She has a lot of experience in implementation of social programs/projects both with domestic and international partners, such as UNICEF, Special Olympics, BOTA Foundation, Canadian Embassy, East Kazakhstan Orphans Charity Home. Doing this work Olga got a great experience of direct contacts and co-operation with local authorities, NGOs, vulnerable groups, SME, international development organizations, business associations, service providers. She repeatedly was awarded by certificates of appreciation and thankful letters for her input to projects implementation. 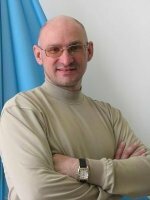 Denis Orlov is qualified specialist in internet-marketing including context advertising and building a sales funnel. Also he has an experience in e-services improving, RIA and sociological researches. His distinctive feature is practical approach to every issue. We also have a team of highly qualified local and international consultants who are involved into projects according project's needs and consultants' skills and experience.